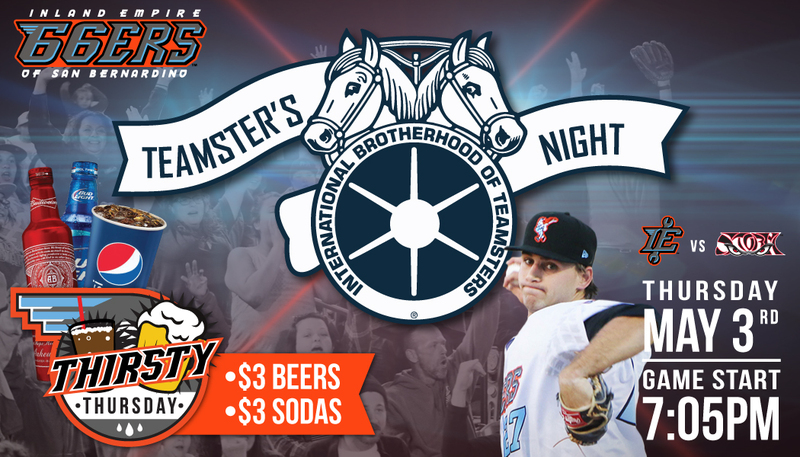 On May 3rd, it’s Teamster’s Night at San Manuel Stadium in San Bernardino as the hometown Inland Empire 66ers face the Lake Elsinore Storm! In appreciation of the union’s members, Teamsters Local 1932 will be offering free tickets to members. A limited amount of tickets are available — first come, first served — so reach out to your Business Agent today before it’s too late, Teamsters!